Currently, I am serving my second term as Chairman of the Heritage District Redevelopment Commission. I have presided over the redevelopment commission during the district's largest period of growth and have laid out plans for years to come. It has been my pleasure to help realize a vibrant and successful downtown area. Where I see Gilbert at risk is in the long term planning of our community. We are the fastest growing community in the U.S. and planning will have a genuine impact on our growth and financial potential. Yet Gilbert does not have one long term planner, let alone a department, that is responsible for the stewardship of our community. As a businessman and taxpayer, I am concerned how the lack of future planning will have an impact on services and taxes in Gilbert. As your town councilman, not only would I scrutinize and call for transparency and responsibility in the town's spending, as I have in the past (see video), but I also pledge to work closely with the talent and resources we have now, attract the resources we need, and facilitate a vision and plan for a future of Gilbert that enables us to be competitive and attractive on a sound fiscal footing. Over the past six years, I have served as a board member and as Chairman of the Heritage Redevelopment Commission. Working closely with the Economic Director, I revitalized a sleepy downtown into one of Arizona's most vibrant locations. I have changed the face of the Heritage District and it is an unmitigated SUCCESS! Retail, restaurants, entertainment, art walks, festivals… This groundwork will continue to attract businesses, create jobs and thrive for decades. I exposed (see video) the 51 million dollar inflated land deal (the property was worth only $14M), that caused elected officials and irresponsible town staff to lose their jobs. I also lead the effort to change the laws so that a lemon of a deal like this could never happen again. I’ve blown the whistle on many similar "good old boy" deals. I ensured all funds allocated were actually made use of in and for the benefit of Gilbert in a responsible fashion such as repair/ replacing necessary traffic lights and crosswalks rather than funding charities in Scottsdale! I also advocated for a battered women's shelter in Gilbert when community development block grant funds become available. I sued and won against the Town of Gilbert when the former Town Manager inappropriately used eminent domain against my family and many other families along Higley Rd. I held council members, who supported the "Public Safety First" bond, accountable (see video) when the city council signed a later agreement that would put bond holder profits ahead of funding for police and fire departments. "Public safety" fears are continually used as a means to increase taxes. With the assistance of the Goldwater Institute, I sued and won against Scottsdale over their unconstitutional law to infringe on business owners' First Amendment rights. This has literally created and ensured thousands of Arizona jobs. "Jim Torgeson is a pro-active member of our Gilbert community and a small business owner who understands the need of getting rid of onerous regulation and higher taxes for small businesses and families. Jim has demonstrated strong leadership skills through his many years of involvement in local politics, entrepreneurship and project development, making him a perfect fit for the Gilbert Town Council. Please join me in supporting Jim Torgeson for Gilbert Town Council." "I have known Jim Torgeson for over 35 years. I know him to be a successful businessman, family man, and civically-minded citizen. As a former Special Ops Sergeant Major in the US Army, I believe the future of this community needs a man like Jim, who is not afraid to say what needs to be said, to tackle difficult problems, or to take on political bullies. Jim is the right man for Gilbert’s future." "Jim understands how to achieve Gilbert's long term goals." "I am proud to endorse you for Gilbert City Counsel. Your character has exemplified an outstanding Arizona Citizen, Business Leader, and Family man. You’re a Champion of parental rights and people entrust themselves to your leadership in our community. You have my best wishes for a most enjoyable election and much continued success in your outstanding endeavors as a Gilbert City Councilman." "Jim earned my vote by supporting small business and helping dreams be realized in Gilbert"
"It is with great joy that I endorse Jim Torgeson for Gilbert Town Council. Through his service as Chairman of the Town of Gilbert Redevelopment Commission, Jim has passionately provided leadership and vision in the revitalization efforts of the downtown Heritage District resulting in the entrepreneurial restaurants, retail businesses, arts and culture, food trucks, and farmers market we all enjoy. He has dedicated his time to the success and vibrancy of the small businesses that have now found a home in our downtown. Jim’s strong small business acumen and economic development expertise will bring great value to the Gilbert Town Council. Please join me in supporting Jim Torgeson for Council." "I have worked on the Gilbert Redevelopment Commission with Jim Torgeson since October of 2013. He has been the chairman of the commission, and I have been one of the commissioners. More recently, I have been appointed to the position of Vice Chair of the Redevelopment Commission. The Redevelopment Commission is charged with approving proposals for exteriors, zoning proposals and the like in the Heritage District, but not with sending RFPs or negotiating contracts for businesses. In other words, we can recommend that council consider a proposal, but we are not part of the contract negotiations. Those generally happen after RDC recommends that council further consider a project. Jim Torgeson is proactive and determined to continue to be a rational and fair representative of the citizens of the town of Gilbert. His insights and questions when projects are brought before the commission are always geared towards what could help the town. He has done an excellent job on the Redevelopment Commission, and has been proactive in helping encourage a terrific mix of businesses for the Heritage District. He has a long history of seeking to remind Town Council to be fiscally responsible and forward thinking, protecting property rights, and having a wonderful vision for the future of Gilbert. Jim Torgeson is ethical, fair minded and concerned about staying true to the Constitution. He would be an excellent choice for Town Council. I endorse Jim Torgeson for Gilbert Town Council." "As a former employee (20 years ago), I feel I can share something few get to see; he wasn't just a boss, he was a leader and a teacher. He would always say "you don't work for me, you work with me." His way of distilling situations for problem solving taught me so much. I still call and ask for his advice to this day. Gilbert is lucky to have him." "Jim understands smart growth and economic development. Coupled with his ability to get to the root of the subject, I am confident he will be an excellent councilmember." "I have had the opportunity to work with Jim on a number of projects and have also served with him on the Free Enterprise Committee for the Small Business Alliance. Jim has volunteered for several board positions with the town, from Chairman of the Redevelopment Committee [Heritage District] to community Services Committee. I have always found that Jim's heart is with the people of the town, always doing and pointing out what is best for ALL of the residents of Gilbert. I highly recommend Jim for the position of councilman for The Town of Gilbert." "Torgeson offers a common-sense approach to government including the need for a long-range planner and ensuring infrastructure is maintained. He has been a community watch-dog who is not afraid to ask tough questions to uncover wasteful government practices. Torgeson also serves as Chair of the Gilbert Redevelopment Commission." "Jim Torgeson has been involved in Gilbert politics, policies and town processes for many years. As a successful businessman and local entrepreneur, Jim has used his expertise to help other businesses navigate the complex municipal codes. He has been vigilant in advocating for a reduction in regulatory burdens and limited taxation. As a Gilbert resident, I’m grateful that Jim will continue this fight by bringing his much needed experience and common sense perspective to the Gilbert Town Council. Please, join with me in supporting Jim Torgeson for Gilbert Town Council." "Jim saw the predicament my family was in regarding Heritage District property and turned lemons into lemonade for us and everyone downtown. He'll make a great Councilman"
"Jim is a business man. He is also a principled conservative. I am proud to endorse Jim because I know he will provide the town of Gilbert with a brand of strong leadership that he has learned through years of growing a successful business. Our town will face difficult challenges over the next few years. We need leaders like Jim to lead our town in the right direction." "The Town of Gilbert needs a strong leader like Jim Torgeson. His conservative principles and extensive business experience will be a great asset to the Town Council. Jim will do what is right for families and small business owners in our community, while keeping taxes down. I am proud to endorse Jim because he is the right leader for Gilbert." "I have worked on several pieces of legislation with Jim over the last 15 years. He has proven to be a principled thoughtful defender of free speech and constitutional rights. As an outsider, he been able to investigate complex transactions and hold local government officials accountable. As a councilman he will hold your interest higher than anyone else's." "As a former Arizona Sheriff, I proudly endorse Jim Torgeson for Gilbert town council. Jim has a long history of standing for freedom and that is exactly what Gilbert needs. Please join with me in voting for Jim Torgeson!" "He has already contributed greatly to making Gilbert more fiscally responsive & attentive to town residents. Electing him on town council will only make Gilbert that much greater." "In this race he is the best champion for liberty and freedom and I think he will best represent the values of the citizens in Gilbert Arizona"
"With a proven track record of standing up for property rights, lower taxes, fiscal transparency, and individual rights, Jim Torgeson is the right man to get the job done. I heartily endorse Jim for Gilbert Town Council because every community needs strong leaders and fiscal stewards to represent and safeguard their interests." 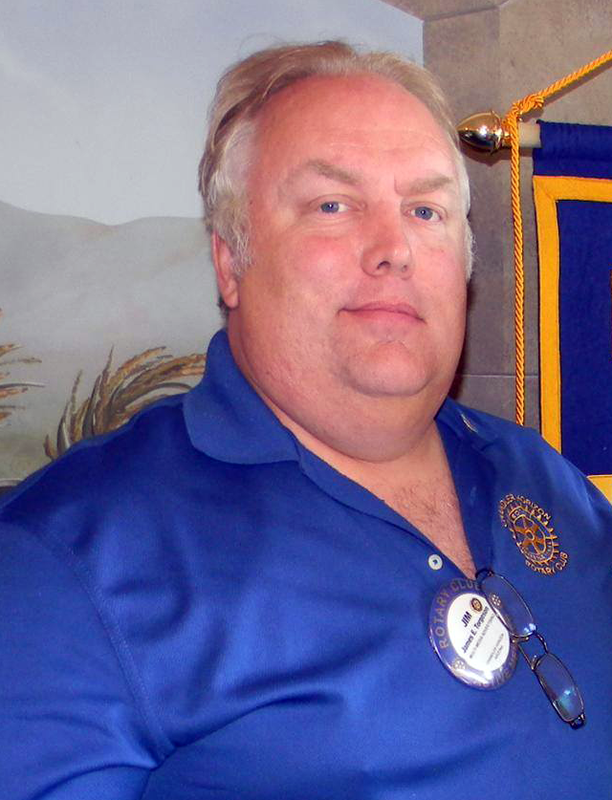 "I have known Jim for several years as we have both worked with our communities through the Chandler Horizon Rotary club. He has been on the Club Board for several years. Jim has been a very active player in projects we sponsor for our communities. In addition, I have known Jim and his commitment to honest action and I consider Jim a person if high Integrity. He is outspoken and that is exactly what I believe is needed for the Gilbert Town Council. Jim will challenge the group think process and make a positive difference." "Jim's work and devotion to the Heritage district has made it the envy of the valley. I look forward to working with him on shared issues and concerns as a Gilbert Council member"
Use the form to volunteer or just say hello, and please also follow my facebook page.